Twitter has just announced that they will be bringing a couple of new features to their web client and Android, iOS app. The two features are photo related and they surely seem to be taking cue from Facebook. 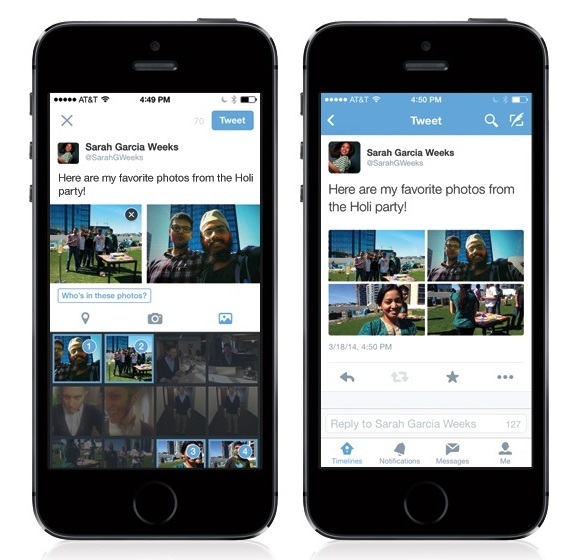 Twitter now allows photo tagging. You can tag up to 10 people in a photo on Facebook. Previously, you could tag people by manually adding usernames but that would take up a lot of precious characters. 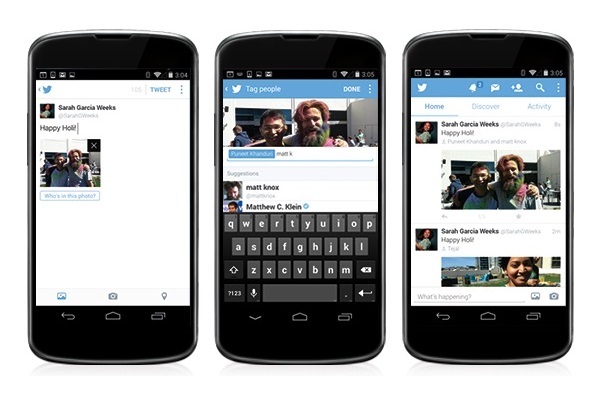 Now, you can tag people without compromising on your tweet’s 140 characters. If you are tagged by one of your friends, you’ll get a notification and you can choose who get to tag you. The new update brings multiple photo uploads as well. You can now share up to 4 pictures in a single tweet. You can select the photos you want to share and Twitter will automatically make a collage for you. This feature is now rolling out to iOS and will come to Android soon. You can hit the Store links below to get the update for Android and iOS. Sorry Windows Phone users! Anyways, we hope these new features come to Microsoft’s platform as well.